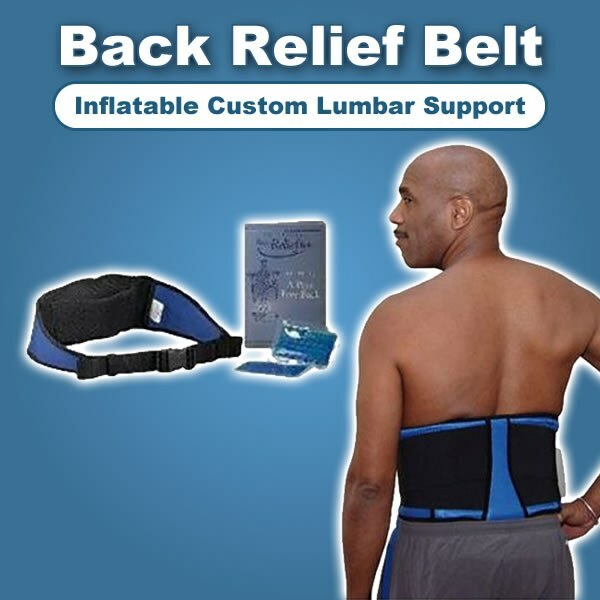 Your air adjustable Back Relief Belt provides you with custom lumbar support when you need it. With just a few simple pumps you can create the perfect amount of support and cushion, wherever you sit, guaranteed! It&apos;s perfect for travel, providing support and soothing relief. Includes a 12-page Guide to Pain Free Back by Dr. Grosso. Support your lower back by wearing this belt beneath or above your clothing. Its built-in, adjustable pump creates a pillow-like effect, helping decrease pressure to make sitting more comfortable. Designed with an air-release valve. Note: The 2 freezer and microwave-safe hot/cold packs ARE NOT included.